Bruce Clifton publicity. From television to newspaper, from magazine to radio, this page describes some of the publicity surrounding Bruce. Have you always wanted to master the tarot but end up confused by the number of interpretations there are out there? This is something new for us, by popular demand we have created a spiritual development on-line course. Twenty three videos, nine topics, 2 hours of on-demand video. Having taken a break from healing and energy work, I asked spirit what shall I do?? 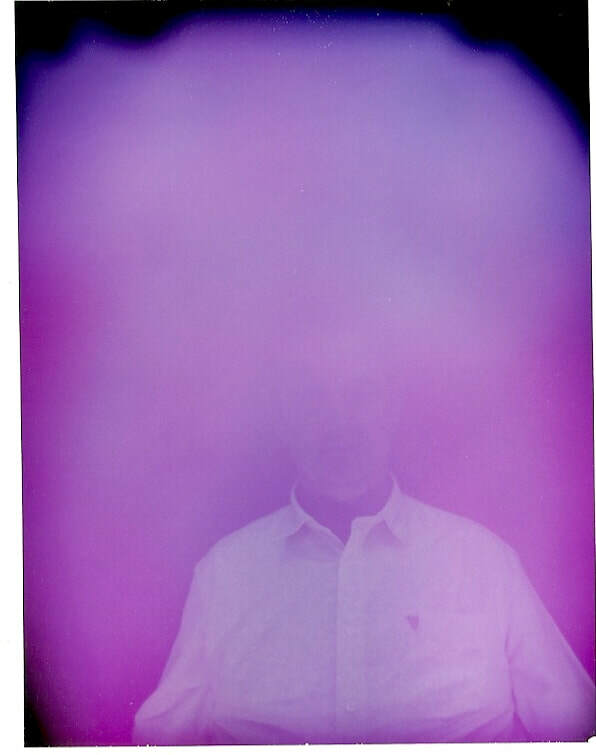 The answers came with the photo on the left, the pink aura, the depth and shades of pink with the purple and white. The violet flame is an intense meditation, it is one that I have strived to achieve. 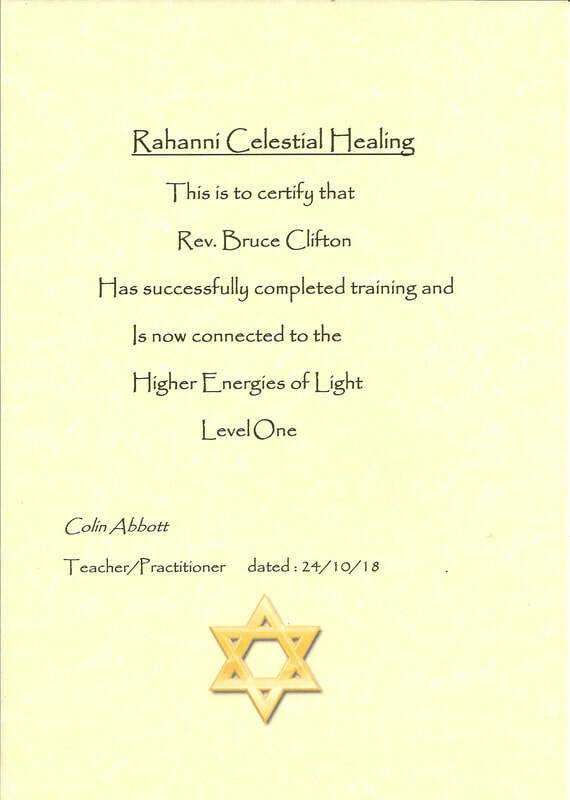 Having achieved level one Rahanni Celestial Healing I look forward to exploring the violet flame with you. This is the first of a series of Magic books. A series of videos adapted from my book and created for youtube. These topics explore all aspects of energy, alchemy and everything inbetween. Hermes Trismegistus, The Egyptians, The Greek Gods, The great philosophers, Healers, Pharoes. The topics explored include: Life after life, Dreams, Alchemy, Energy, Angels and many, many more. This was me caught in a moment of healing, possibly one of the most evidential photos of me working. ​The healing energies coming from my left hand has blocked out the door frame below my hand. It illuminates the hair on her right side above her shoulder and continues to cascade down her right arm. This energy was pointed out to me by one of my students more than 6 months after the photo was taken, once it was pointed out I was amazed that it hadn't been seen before. This is actual metaphysical energy. It is the reality of spiritual energy becoming tangible. To catch this on an ordinary camera is very rare. 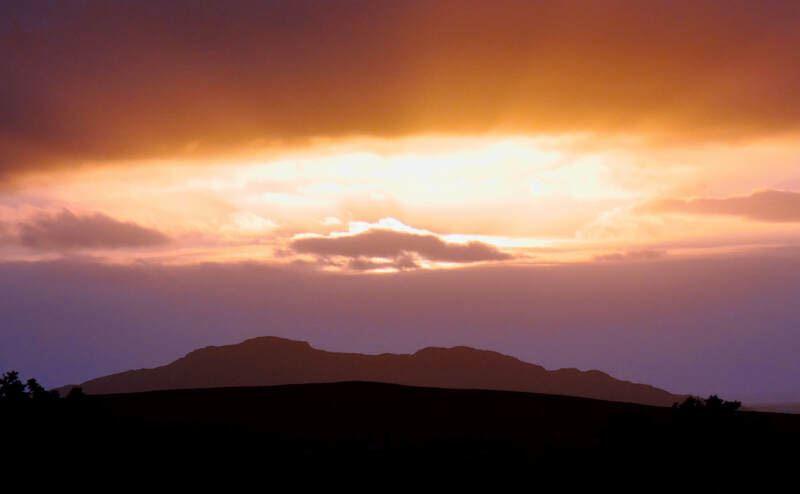 ​It's an amazing photo that portrays Bnwyfre Healing energy in it's purest form. This is me on the television. It is something I try to do when I have the time. Hello, I’m Bruce Clifton, and thanks for checking my profile. I was born with natural empathic and psychic abilities, and have developed these to the point where I sit before you today. Sensing your energies and the energies surrounding you, I hope to provide insight into your situations, and peace to the circumstances that have attracted you to me. Being naturally intuitive and influenced by the ancient Celtic and Tibetan cultures. ​​I use the Ogham Tree Lore, Totems, Natural Energy, Colours, Crystal Ball and Pendulums to guide me with my reading for you. 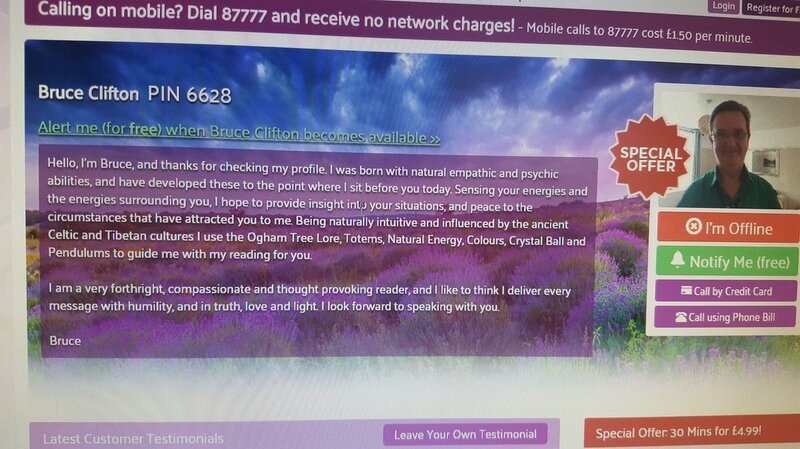 Bruce, i have just read your article about my ******* in the Psychic News and it bought back bad memories for me, in your article you said you dont do miracles well i say you do bruce, know one will tell me any different for what you done on that day something i will remember for the rest of my life. Thanks is a little word considering what you have done for me, ******* and all of our family. I was told by the doctor in ICU that ******* was going to die i will never know what you did that day but thanks to you and the spirit world my ******* pulled through and is continuing fighting fit!. We were honoured to have been asked to share a weekend with one of the best psychics in a generation. We were proud to be associated with this centre and were exclusively the only Healer and Reader allowed to work in this centre for more than 18 months. 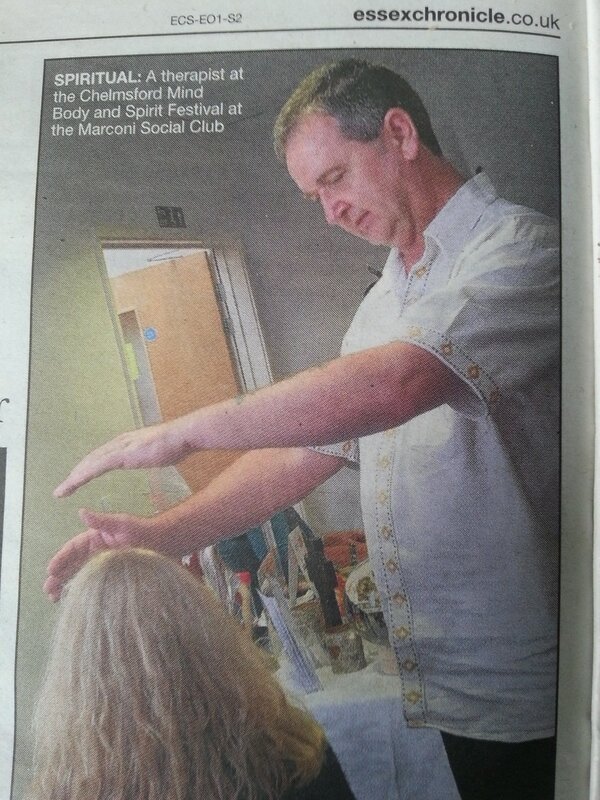 The Bnwyfre' Holistic Healing clinic proved to be very popular attracting people from far and wide.